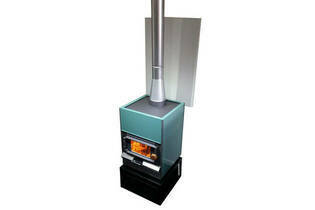 Bottom line: This freestanding woodburner produced 3.5 kW when NES tested. It has a predominantly radiant and convective heating mode and is NES (clean-air) approved for urban areas. It has excellent emissions performance (significantly above average for a NES compliant woodburner) and OK efficiency (though slightly below average for a NES compliant woodburner).